Most of us musicians make albums that, for one reason or another, never seem to find their place in the world. They are filled with songs that we have spent years writing and thousands upon thousands of dollars recording. We think they are the next Sgt. Pepper’s Lonely Hearts Club Band or Pet Sounds and we have big dreams of money, girls and everything else that goes along with being a superstar. Back in 1970, Sixto Rodriguez was a singer-songwriter who had these same dreams. Then he made a record. Rodriguez, as he was billed, put out his first album, Cold Fact, in March 1970 and a year later followed it up with, Coming from Reality. 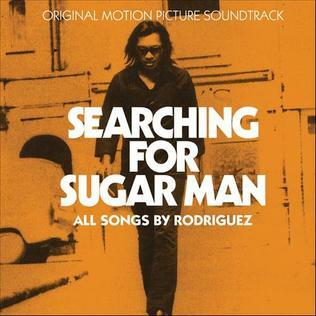 Both albums bombed in the United States, and Rodriguez quit music and worked manual labor jobs in Detroit where he lived at or below the poverty line. Unbeknownst to him, both albums caught fire in South Africa. His songs became hits with the anti-apartheid movement and he became a hero no one knew anything about. In fact, tall tales circulated about how he had died. One said he shot himself to death on stage, while another said he doused himself with gasoline and set himself on fire. In 1997, South African record store owner, Stephen “Sugar” Segerman, set out to find out what happened to the elusive Rodriguez and to see if he was still alive. This is where I’m going to leave you hanging. I encourage you to watch the excellent documentary, Searching for Sugar Man, for the rest of the story. 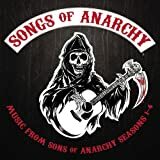 However, I will tell you about the music that makes up the incredible soundtrack. The story of Sixto Rodriguez gives all of us musicians hope that there is some kid halfway across the world who cannot wait to get home from school to listen to his iPod and learn one of our guitar licks. I’m sure there is some other guy out there right now trying to find the balding guy on the back cover of the Orange Is In Another Lame Semi-Tragedy CD. I’m right here, buddy. Give me a call. 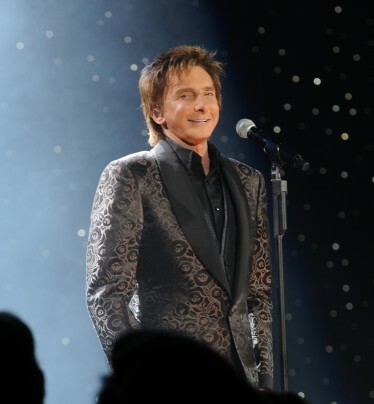 In this time of venom-filled abortion debates, Paula Deen’s 30-year old racism, the Trayvon Martin trial, 19 Arizona firefighters losing their lives and other disturbing events, it was nice to spend an pleasant evening outside under the stars with Barry Manilow. Before an energetic crowd who packed the seats and part of the hill at the Cynthia Woods Mitchell Pavilion in The Woodlands, TX (40 miles north of Houston), Manilow broke out the songbook and cranked out hit after hit during his 95 minute set. “It’s A Miracle” and the disco mix of “Could It Be Magic” kicked off the night and in between that and the dramatic closer “I Write the Songs,” Manilow gave us “Can’t Smile Without You,” “Weekend in New England” (complete with women screaming after the line “when can I touch you” and Manilow responding “I’ve still got it), “This One’s For You,” “Mandy,” which started out with his first appearance on The Midnight Special, a powerful version of “Tryin’ To Get the Feeling,” the showstopper, “Copacabana,” and a new tune from a musical he has written called “Harmony,” which received a thunderous applause. The night’s most moving ballad was “I Am Your Child” from his first album. He talked about the cutting of school music programs and encouraged the crowd to get behind one of his passions, the Manilow Music Project, a fund that gathers, fixes and donates musical instruments to school districts around the country. Manilow has always been a master showman, but to be honest with you, I wasn’t expecting much from the Brooklyn native who turned 70 last week (that should make you feel old). However, he more than proved me wrong. His voice was strong, he moved up and down the stage and he genuinely looked like he was having the time of his life singing songs that still stand up after all these years. I first saw Manilow at Illinois State University in 1975 when he was just hitting it big. At one point on Sunday he referred to himself as the “Justin Bieber of the 70s.” Somehow I don’t see Biebs sticking around as long as Barry. You are currently browsing the 30 Days Out blog archives for July, 2013.